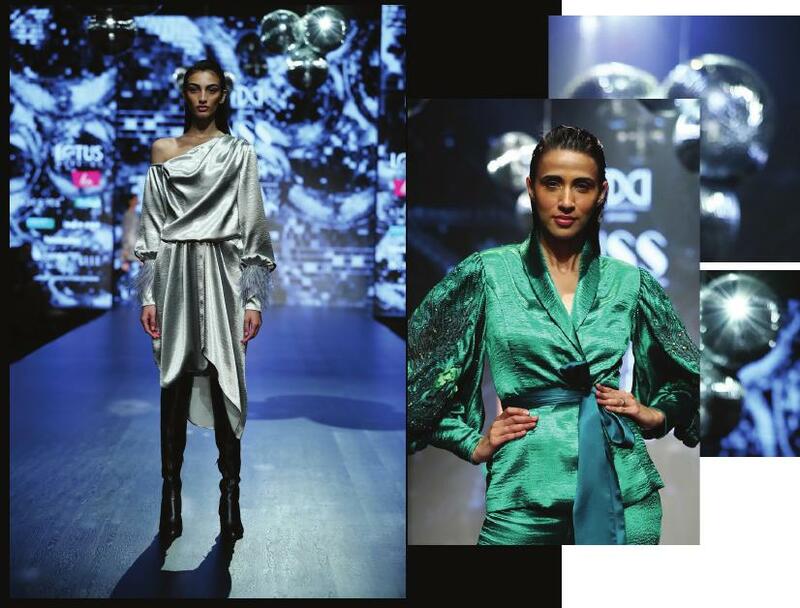 From Pallavi Mohans ‘70s sparkle to Namrata Joshipura’s futuristic vision, day 3 of fashion week witnessed hair and make up looks that pushed the boundaries and were an experimental departure from the norm. The designer duos love for art transcended their showcase which was inspired by Dutch artist Jan Davidz de Heem’s Still Life with Flowers in a Glass Vase, and translated into masterful hair and make up. A thin stroke of black eyeliner added intensity to a shimmering silver base accompanied with voluminous eyelashes to create a dramatic eye. Glistening against the soft lights as models walked down the outdoor plaza was dewy skin, pink sheen lipstick and slicked back and sculpted hair. 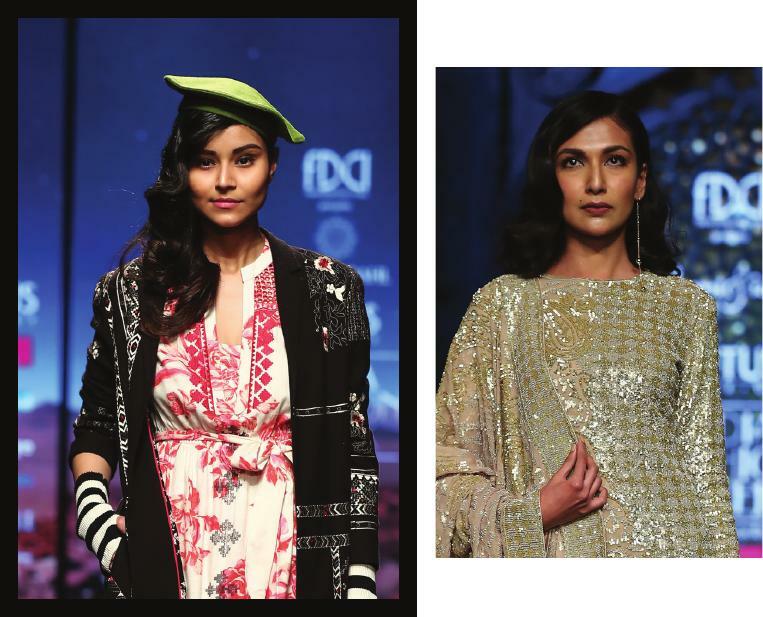 From Vineet Bahl’s “Safari Soiree” to Rabani & Rakha’s ultra glamour, hair and make up was skillfully crafted to complement collections that were on two ends of the spectrum. Hair was side parted and gently placed over the shoulder, in soft waves to add to the natural effect. Soft eyeliner blended into the eye, and was paired with contouring which added to the dimension of the face. 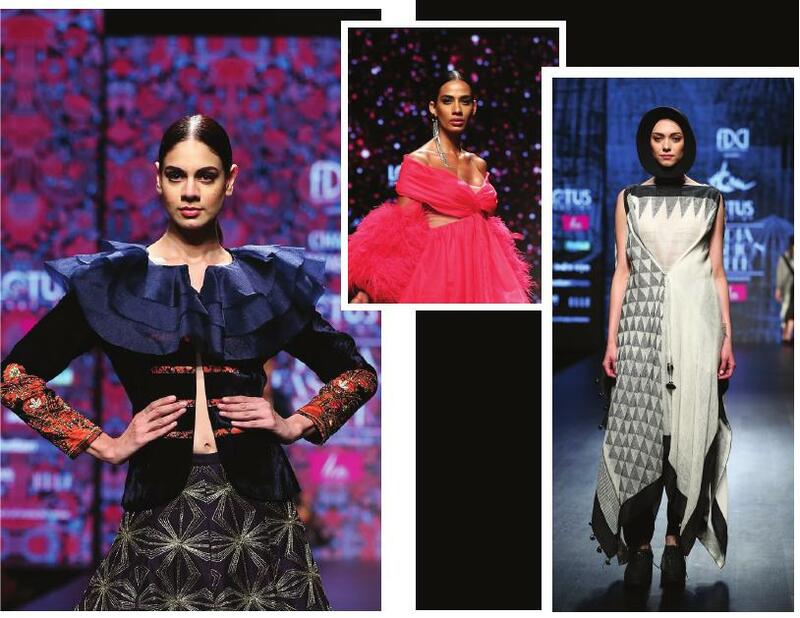 Variations in lip colours, from a pale sheen pink to matte black completed the look. 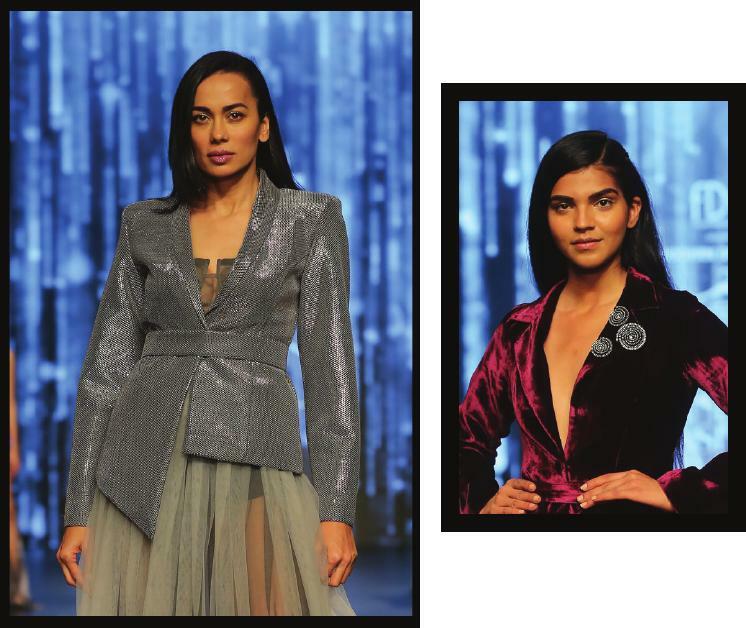 Glittering tear ducts and iridescent eyelids added to Namrata Joshipura’s ultra glamorous collection that was showcased on an electric runway. Precise contouring and an intense highlight was applied to a perfect base, and completed with a burgundy lipgloss that contributed to the shine. Hair was side parted and neatly tied, in sync with the look of sophisticated glamour. Glittering was the need of the hour, as the showcase featured golden eyelids and lips washed with an electric pink sparkle. Balancing the shine was a classic contour, and strobing on the high points of the cheek, bridge of the nose and the cupids bow. The hair was subtly straightened and parted from the side for a look of modern opulence. 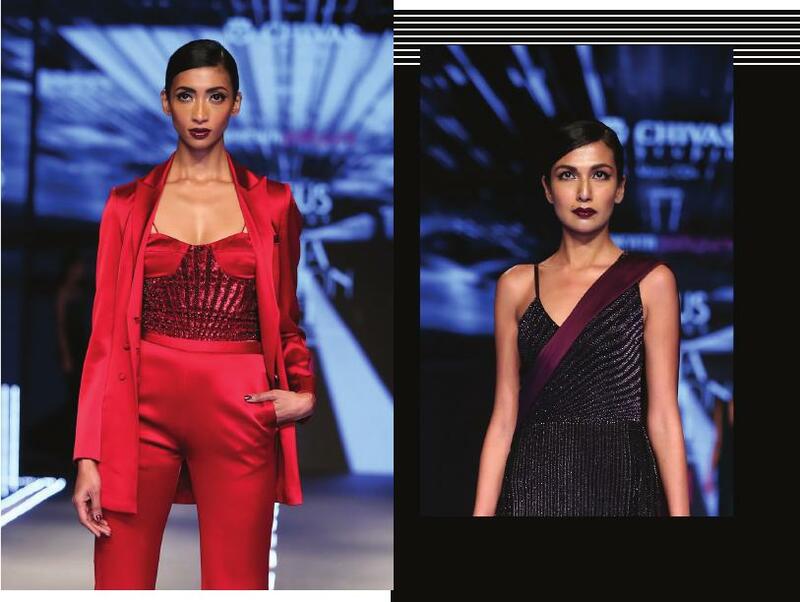 A versatile cat eye, flawless skin and centre parted hair, slicked back and tied, was the apt way to unify Charu Parashars street style, Dolly J’s high glamour and Ekru’s simple vision. 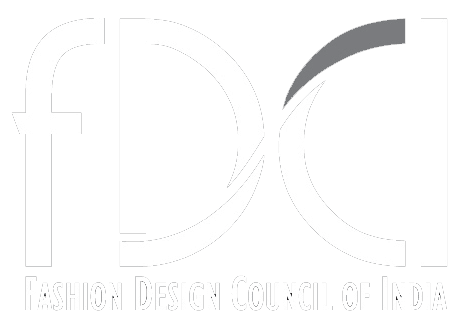 What unified Aarti Vijay Gupta’s floral fiesta with Amrich’s homage to the 80s rock and roll era was a voluminous hairdo, braided from the front and blended into a large puff, that was left open and teased at the back. 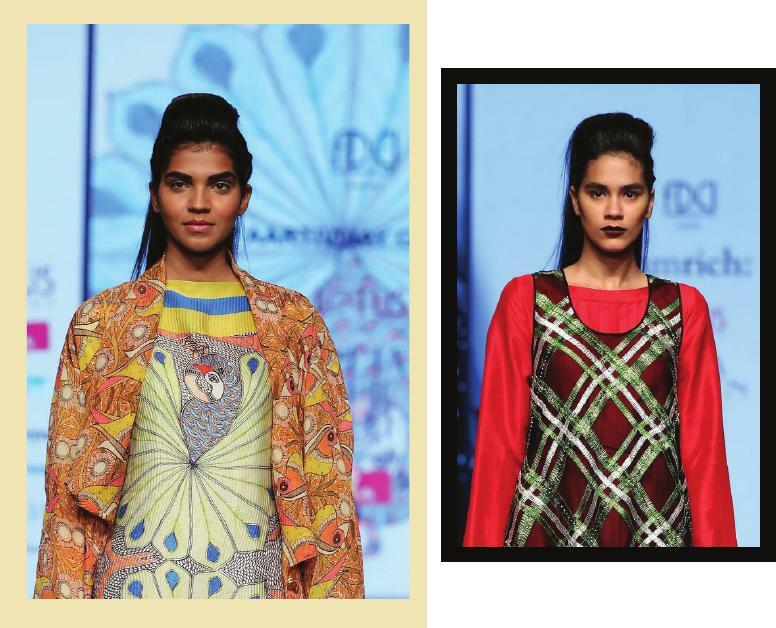 What varied however, were the lip colours for two completely contrasting collections. 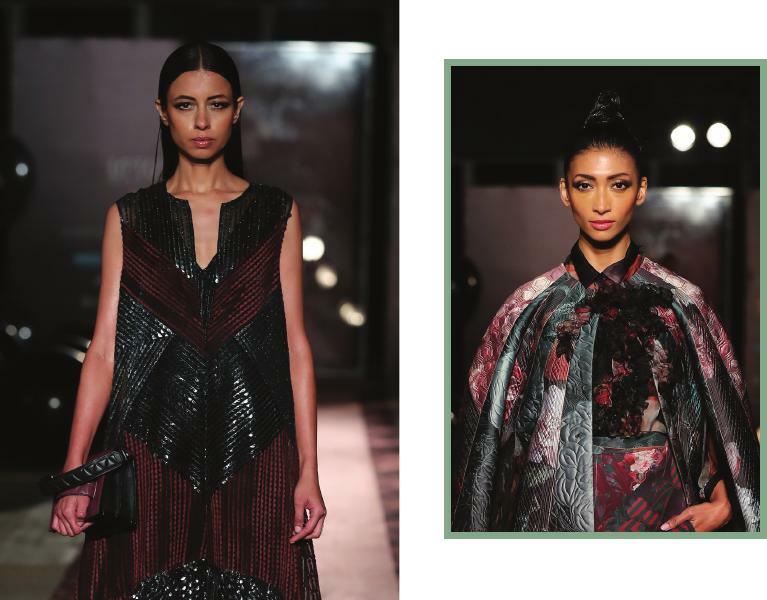 A tone of salmon on the lips for Gupta’s showcase complemented her bright vision, whereas black added an element of grunge to Amrichs showcase. Hair and make up took direct inspiration from the glamour of Manhattans nightclubs and discotheques, evoking a sense of extravagant and hedonistic style. Illuminating the face was highlighter, applied on the high points of the cheek, brow bone, bridge of the nose and the cupids bow. Darkened eyebrows and a smoky eye along with subtle puff and slicked back hair brought back the 70s in style.